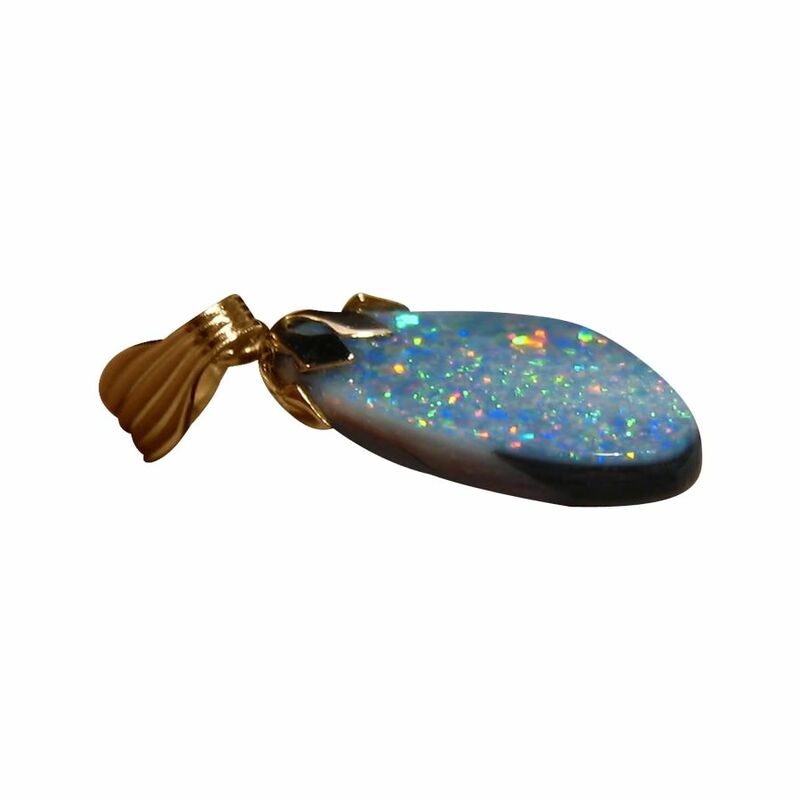 A Black Opal pendant showing bright colors in a lively pattern set with a 14k Yellow Gold bell cap and bale. In stock an ready to ship. 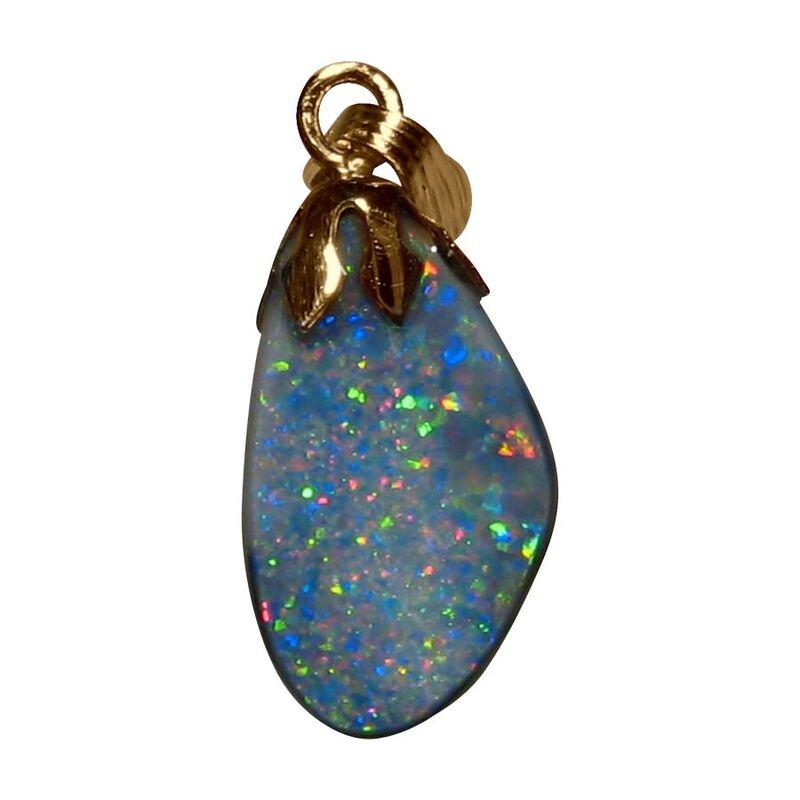 This pendant is a free form Lightning Ridge Black Opal weighing over 3 carats that is set with a 14k Yellow Gold bell cap and bale. 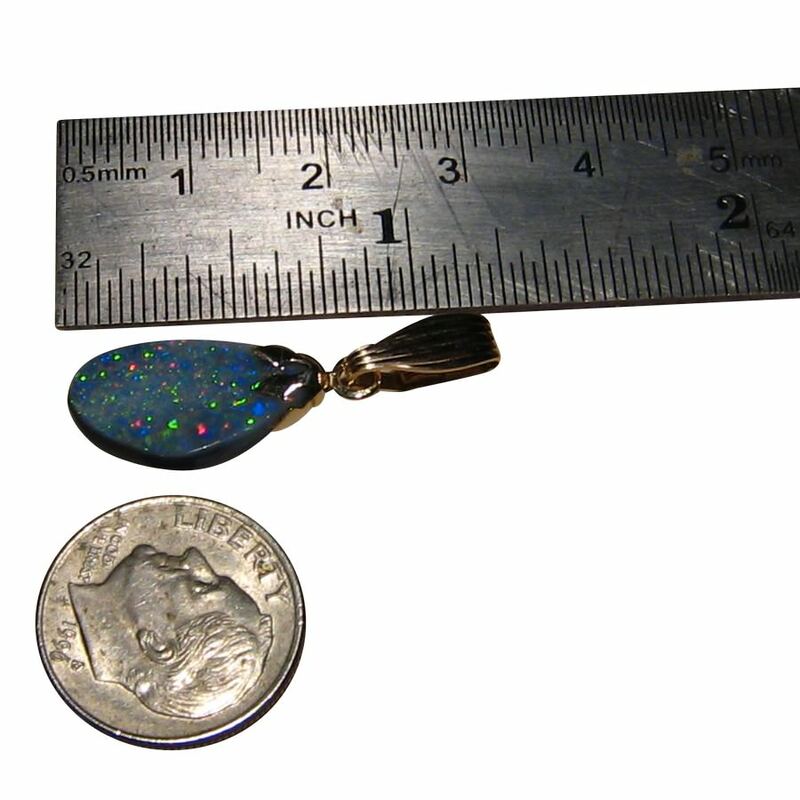 It is a simple pendant design allowing all focus on the Opal which displays a lively mix of colors that sparkle as you will see in the video. 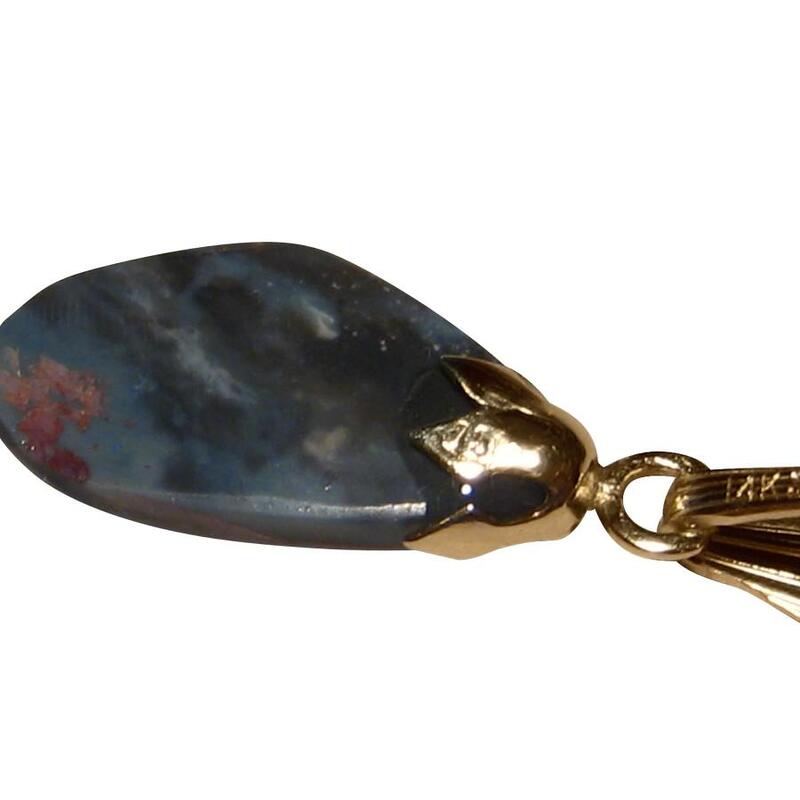 It can be worn by male or female of any age and measures over one inch including the bale. Please note it does not include a chain.